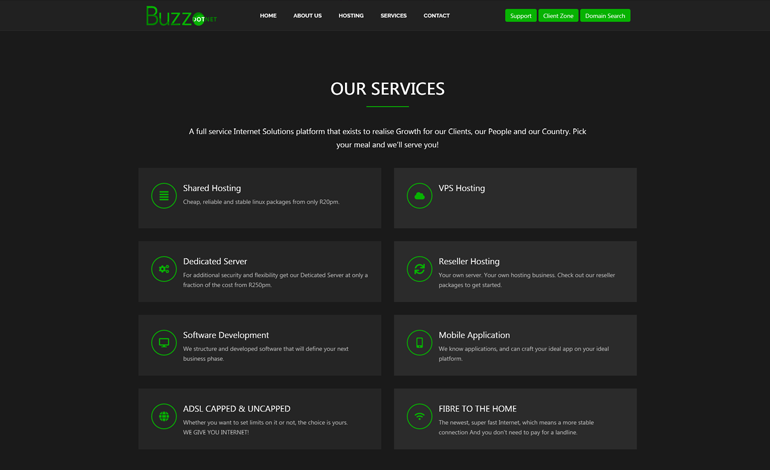 BuzzDOTNET is domain and hosting provider. 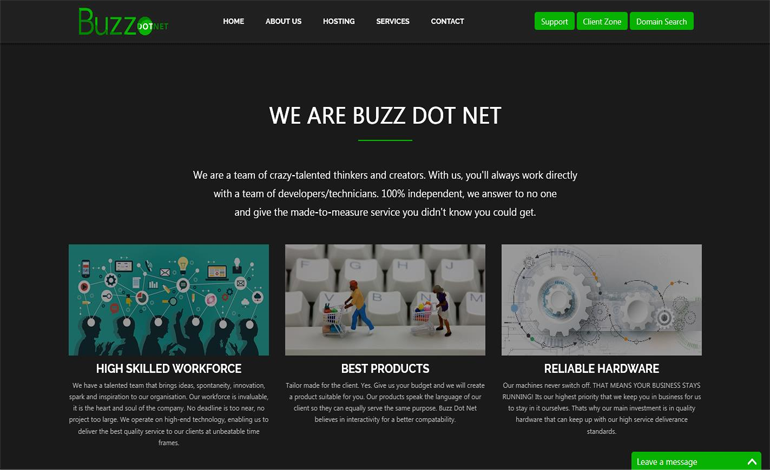 Host your site on the world’s favourite open source platform! Easy signup, reliable performance and easy management through cPanel & Client Zone. It really is that easy!